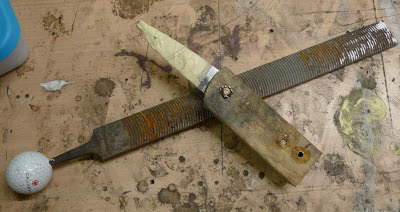 Another Bushcraft knife on it's way. Unusual for me to have two very similar knives finished at the same time. This one has hung around for a while, waiting for the right owner. It was sheathless until requested - finished the sheath last night and in the post today. The blade model is a Felleskap. It was originally designed and made by Trond Pederson in 2003. It was inspired by the Woodlore / Ray Mears knife but noticeably different in it's own right. I quickly put a cord wrap on, just for fun but that didn't last long! 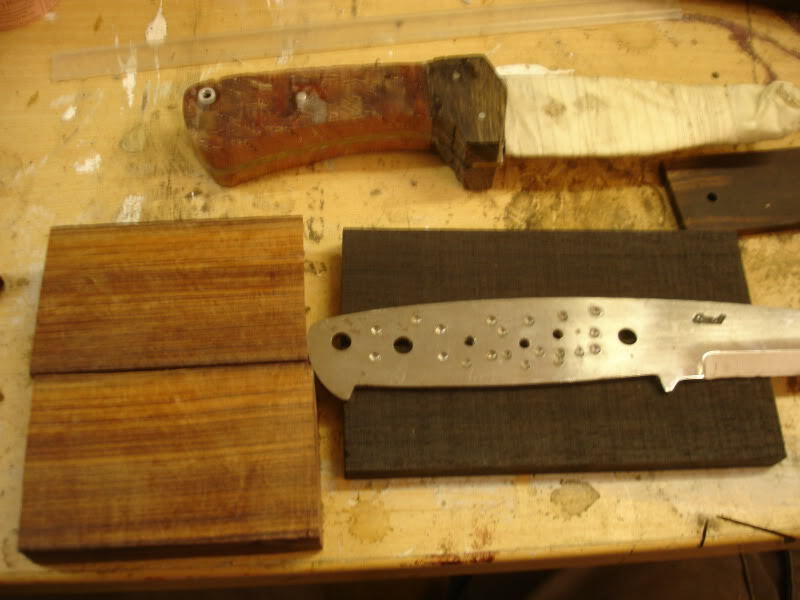 In January '06 it had a rough handle fixed in place of Padauk bolsters and Myrtle scales with black liners. Before it was finished, it was stupidly left in the conservatory of the house I was in at the time during the day time and the epoxy melted, lifting the scales. I stripped it down with the plan to rehandle it.....eventually. So August '10 I had come across the blade again and had a plan to handle it in Kingwood & Bog Oak combo with white liners. Spyderco Mule MT12 Cruwear delivery!